Sometimes you want something rich and chewy and creamy and nutty all at the same time. This one pretty much does the trick my friends! Preheat oven to 350 degrees. Line an 8 x 8 baking dish with parchment paper and then spray with non stick cooking spray. In a mixing bowl, whisk together flour, cocoa powder, baking powder and salt, set aside. In a separate mixing bowl, using a wooden spoon, mix together granulated sugar, light-brown sugar and melted butter until combine. Stir in eggs and vanilla extract and mix until blended. Add in half of the flour mixture and mix just until combine, add in milk and mix just until combine, then add remaining flour mixture and mix just until combine (batter will be very thick). Pour batter into prepared 8 x 8 baking dish and spread into an even layer. Bake for 40 - 45 minutes until center is nearly set. Allow to cool completely before frosting. In a mixing bowl, using an electric hand mixer on medium speed, whip together cream cheese and butter until smooth and fluffy, about 1 minute. Add in vanilla and powdered sugar and continue to beat until smooth, about 1 minute. 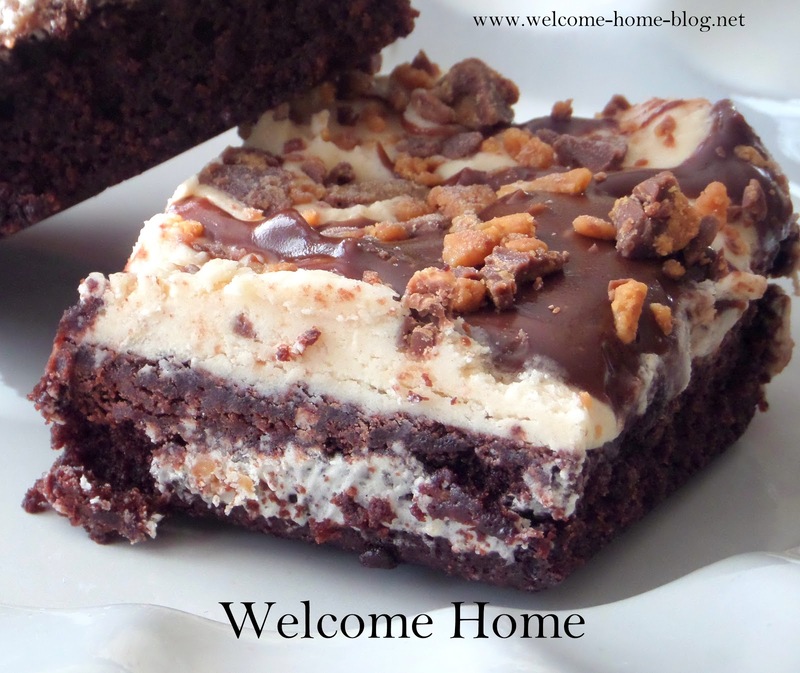 Once brownies are frosted, drizzle melted chocolate on top and then sprinkle on chopped Heath Bar. Makes 12 brownies.